In most cases, estates are settled amicably between all parties involved. When there is a will or trust in place, assets can be divided according to the wishes of the deceased individual. That is the ideal situation. However, there are times when disputes can arise between family members who are beneficiaries of the estate. This may happen if there was no will or trust in place, or it may happen if someone in the family questions the validity of the will or the division of assets. When there is a dispute over a loved one’s estate, the situation can escalate quickly. Emotions run high in these types of cases and can lead to disruption and conflict within a family. When this happens, it is not uncommon for one or more of the family members to hire an attorney to represent their interests. In some cases, the person named as the executor of the estate may decide to hire an attorney to work with all sides to make sure everyone is satisfied with the outcome. Our legal team is equipped to handle all types of estate-related beneficiary disputes and can help to achieve a peaceful resolution. In any dispute, the first step is to attempt to open up the lines of communication between the beneficiaries. By creating an environment for open and honest dialog, we can attempt to resolve issues in a timely manner and avoid expensive legal proceedings. Some disputes revolve around how assets are distributed among the beneficiaries. 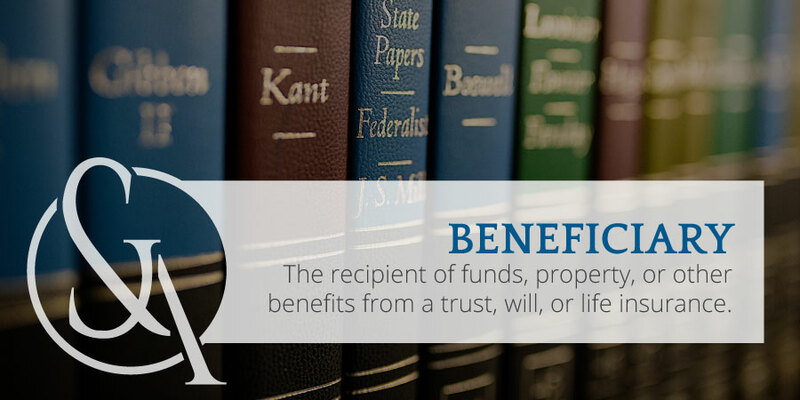 Other times, the beneficiaries may question the integrity of the executor of the estate. We can take action to compel the executor to fulfill his or her duties or initiate legal proceedings. In the event of an impasse in negotiations or the inability to come to an agreement, a more formal action may be taken. We can represent the interests of one or more beneficiaries by pursuing legal action through the probate process. In some cases, it is the only option to resolve the dispute. If you are involved in a dispute with other family members regarding the estate of a loved one, our attorneys can help bring clarity to the situation. We will sit down with you and explain your options in plain and simple terms. And we will offer sound and practical legal advice so you can make an informed decision. If necessary, we can facilitate a dialog among the parties and help you to agree on a resolution. Ultimately, you are in the best position to decide how to manage your affairs. Our attorneys are trusted advisors who will make sure you have all of the information you need to proceed with confidence. If you are looking for trusted and reliable attorneys to help resolve an estate dispute or assert your rights as a beneficiary, call Stimpson & Associates for a complimentary consultation.